Famous for its cream teas and Turkish baths, Harrogate is England's classic spa town with quaint streets, historic houses, landscaped gardens and so many fun things to do. 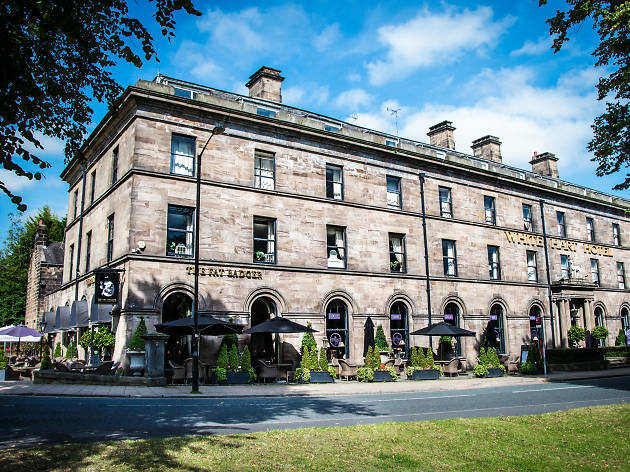 In Harrogate, life is slow-paced and serene—you can see why famous crime writer Agatha Christie hunkered down here incognito in 1926 after her marriage broke down. 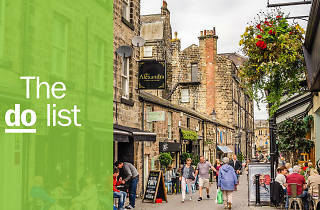 Alongside the genteel prettiness and relaxing baths the town is full of great independent shops, glorious antique stores and top-class cosy pubs serving excellent beer, all surrounded by rolling green hills. 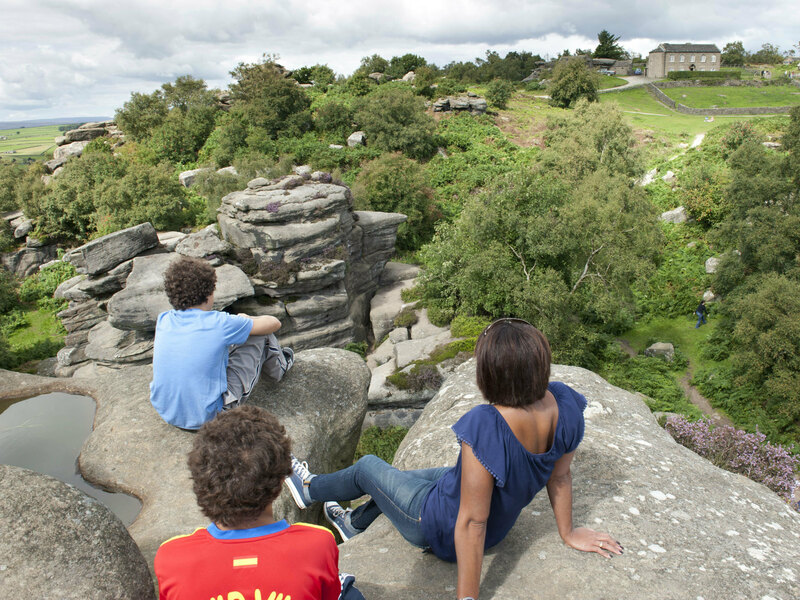 Just 40 minutes from Leeds and York, or 2 hours and 45 minutes from London, follow in Christie’s footsteps and explore this North Yorkshire haven. What is it? 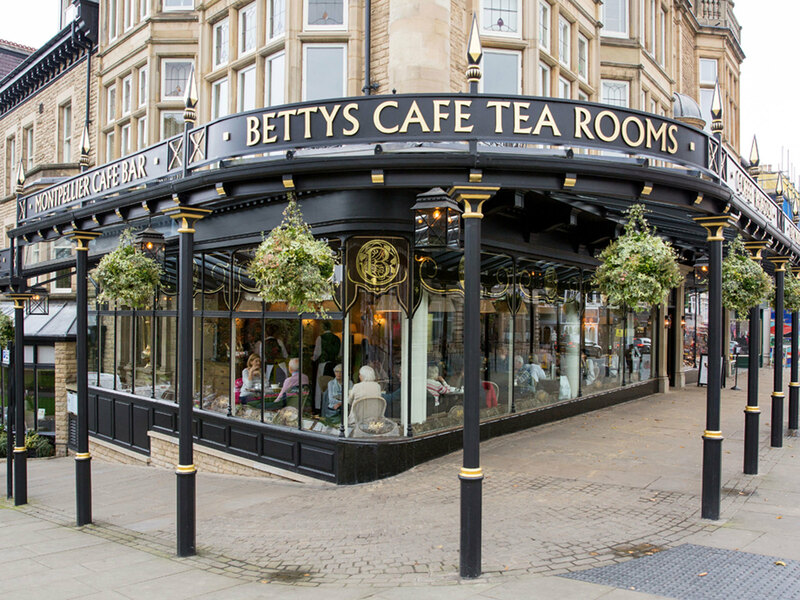 Bettys is a Yorkshire institution, an elegant, traditional café opened nearly a century ago by a Swiss confectioner. Why go? The best place for afternoon tea. 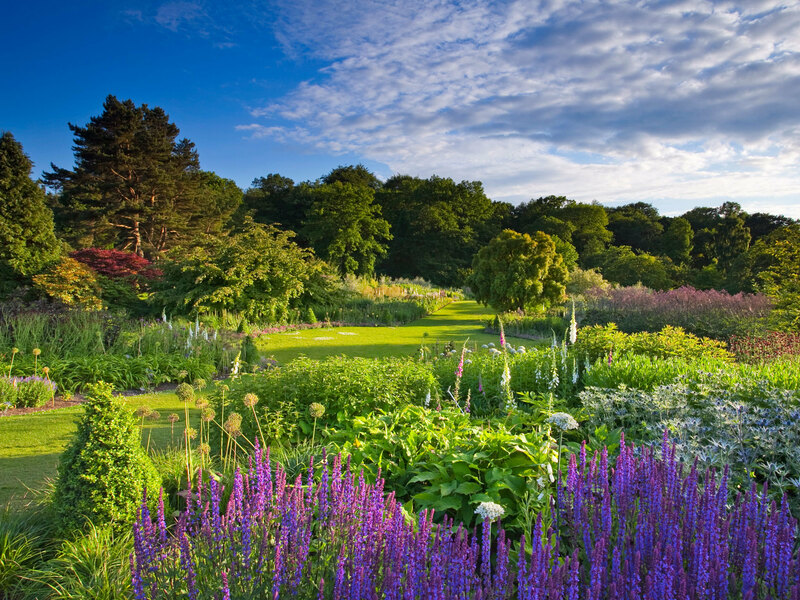 Think silver cake stands, staff in period costume, tea galore and a view of the pretty Montpelier Gardens. Make sure you have a Fat Rascal (a Yorkshire scone) to really feel like you’re in Gods Own Country. What is it? The jewel in Harrogate’s crown. A beautifully designed steam room, plunge pool and spa with Moorish mosaics and terrazzo floors. What is it? 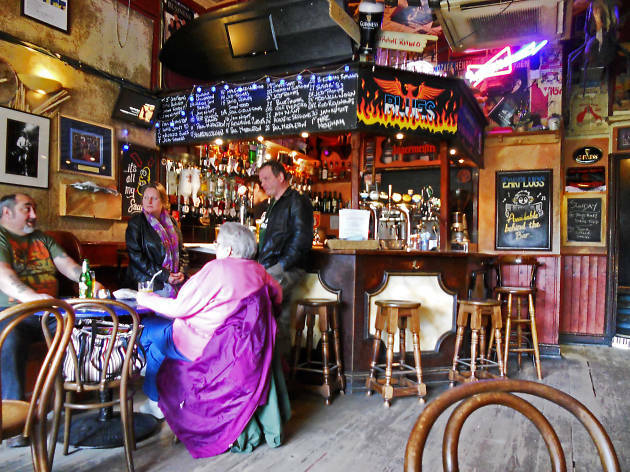 A Victorian-style lofty-ceilinged pub with taxidermy and oil paintings galore. Why go? For the hearty Sunday lunch which you can eat in a cosy wooden booth – or if it happens to be a warm Yorkshire day, there’s a lovely green outside space. What is it? 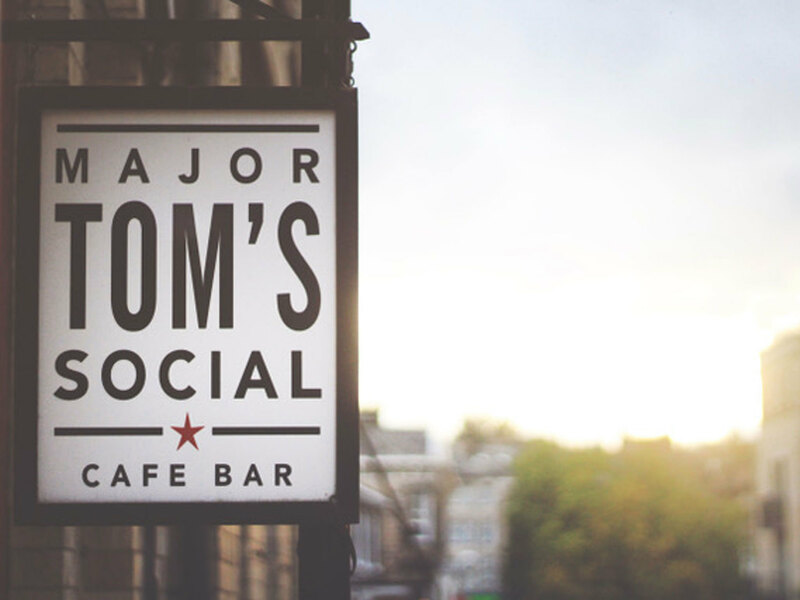 An independent café and bar tucked down a Harrogate street selling craft beer, real ale and stone-baked pizza. Why go? There’s a youth club feeling to this place – it smacks of a time before responsibility, when you could hang out all day in the summer holidays, ‘Friends’-style. There are board games, newspapers and comfy sofas and delicious pizza and beer. What is it? A quaint community-run museum in an old work-house telling the story of the local people and history of the Yorkshire Dales. Why go? It’s adorable, genuinely interesting and the volunteers who run it are lovely and passionate. 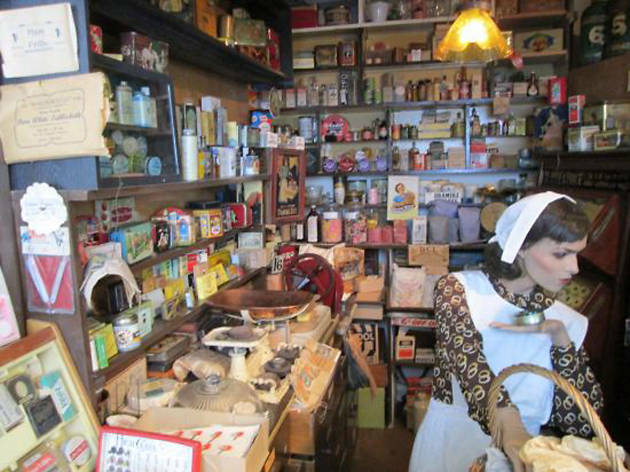 Different rooms show how life used to be, including an old Cobblers shop, school room and Victorian Parlour, and lots of quirky, fun facts to tell your friends – all for a £2 entry fee. What is it? A National Trust site of strange 30-foot high rock formations balancing on top of each other. The boulders have alluring names like The Sphinx, The Watchdog, The Camel, The Turtle and The Dancing Bear. Why go? Formed 320 million years ago, the boulders will make you feel extremely young and also leave you gawping at the brilliance of nature. 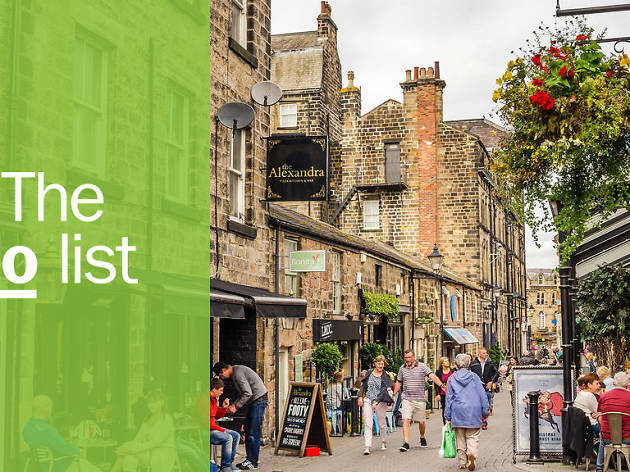 There are plenty of walks to do, including a route from the village of Pateley Bridge which involves passing the oldest sweetshop in the world- as verified by the Guinness Book of World Records. What is it? A gorgeous 58-acre garden and woodland at the foot of the Yorkshire Dales. What is it? A long row of interesting independent shops, pubs and cafes in a bohemian, Notting Hill-style part of town. Why go? It’s fun street to explore. 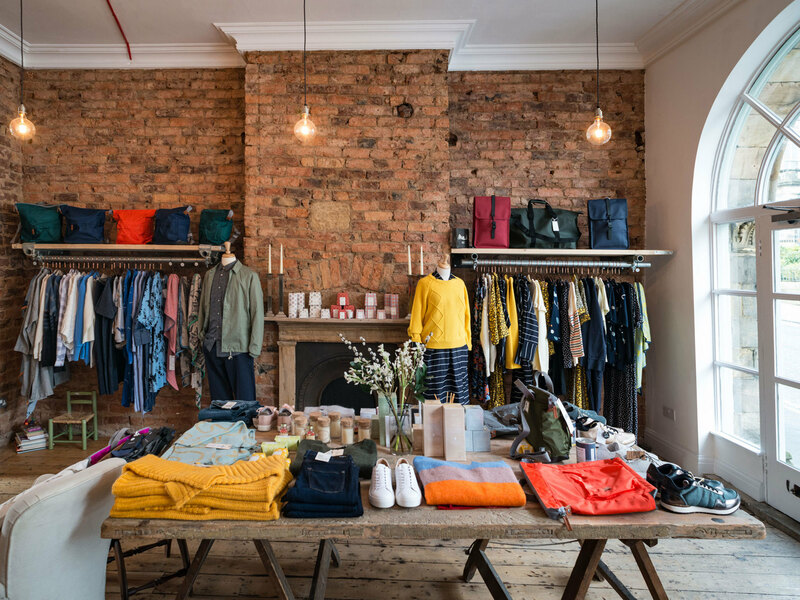 One of Cold Bath Road’s highlights is Bias, a boutique full of great British and Scandinavian labels, homeware and presents. Refuel with a drink at The Last Post or a sugar rush at Mama Doreen’s Cupcake Company. What is it? 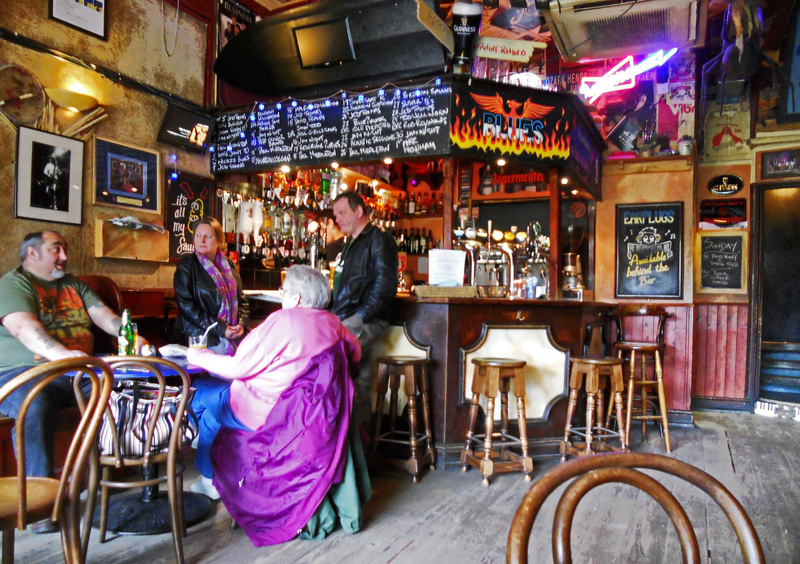 A friendly, buzzy café with quality live music every night. Why go? By day it’s a top-class café for lunch and tea and by night it’s an intimate speakeasy-style spot with good jazz and blues bands playing seven nights a week. Locals love it, and fill it up most evenings. What is it? A well-curated collection of 19th and 20th century art featuring artists William Powell Frith, John Atkinson Grimshaw, Sir Edward Burne-Jones, Dame Laura Knight and Alan Davie. Why go? 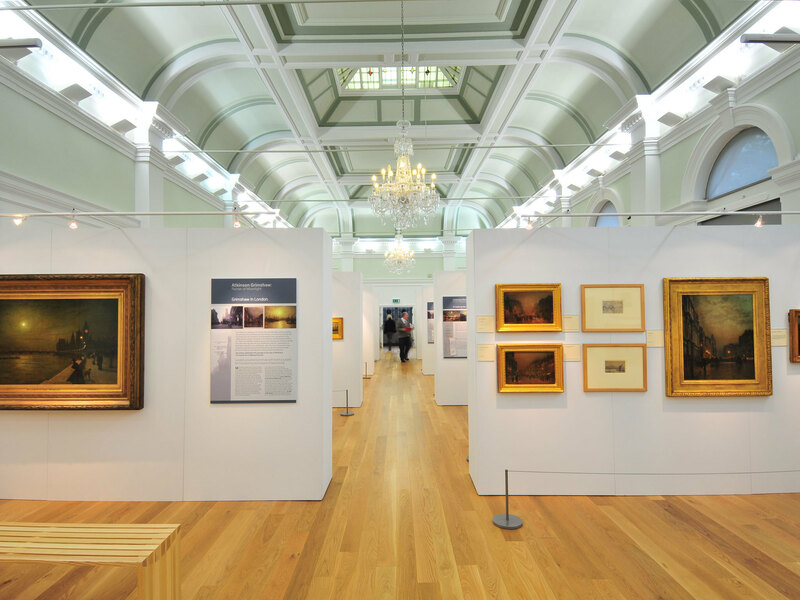 As well as getting a dose of modern fine art, there are intriguing temporary exhibitions. And visiting the Mercer is a chance to see inside a 200-year old Harrogate gem, built in 1805 as one of the town’s first purpose built spa rooms. What is it? The oldest pub in Harrogate, built around 1827 and known then as the Promenade Inn. Why go? 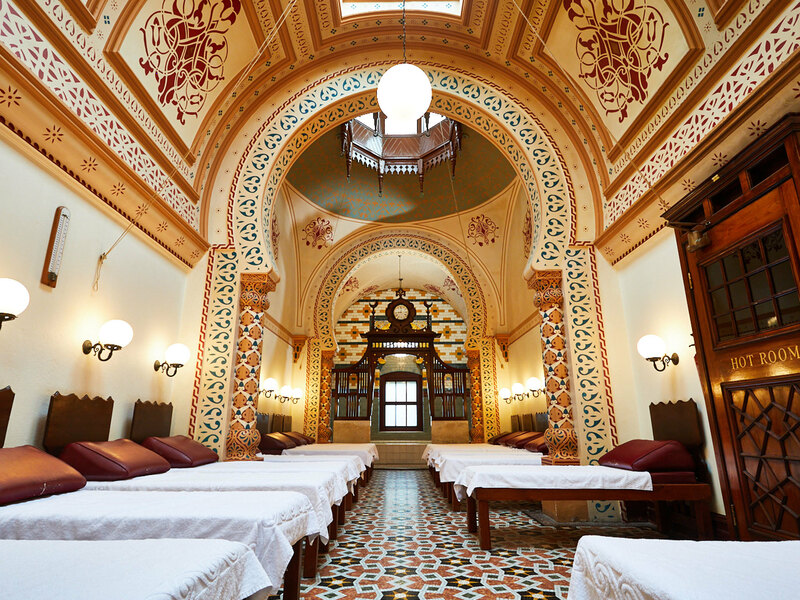 Want to forget the 21st century and feel like a Victorian? 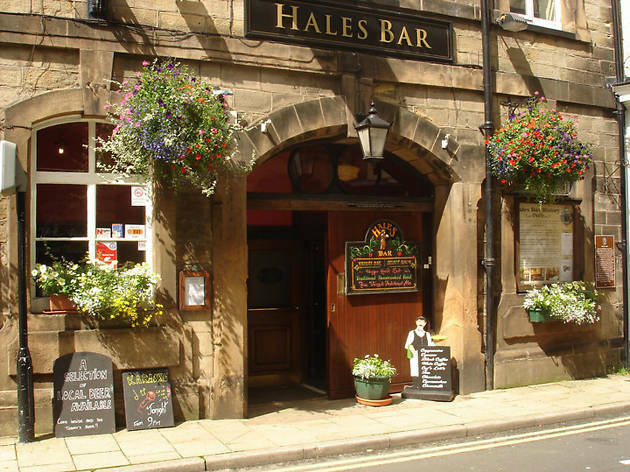 Hales bar feels genuinely historic, with gas lighting making for a cosy atmosphere. Turn off your phone and settle in for the night. The staff are chatty and warm, if you fancy an IRL conversation. They had those in the olden days too.